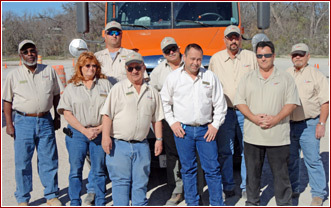 When it comes to quality CDL training, people make a big difference. It’s for that reason that the C1 Truck Driver Training campus in Fort Worth employs only the most professional truck drivers with real world driving experience. In fact, each instructor must have a minimum of three years tractor trailer experience in the last 10 years. Most have more than 3 years of experience as truck drivers, including a senior instructor with more than 25 years in the industry. With that type of experience comes a great deal of knowledge about how the trucking industry works and this is reflected in the Fort Worth CDL training program. Each member of the instructor staff at C1 Truck Driver Training in Fort Worth has completed the extensive instructional program on the best CDL training techniques in the industry. C1 implements proven methods of teaching that are backed by over 25 years of CDL training success. With a consistent training program in place, each student will be trained in a similar manner that meets the highest standards set forth by C1. While creating consistency in training is key, instructors at the Fort Worth truck driving school are also able to accommodate different learning styles by making a variety of CDL instruction materials to each student such as videos, checklists and interactive learning courses. Students are also able to request additional assistance during the driving range portion of training to ensure they’re prepared for the CDL skills test. It’s no secret that the best CDL training starts with the best teaching. 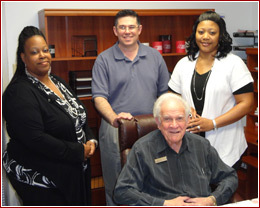 The experience and professionalism behind the Fort Worth CDL training program are reflected in the staff’s dedication. Each member is committed to C1’s goal of providing the highest quality of CDL training available as set forth by its founder, Chris Welch, back in 1987. By creating positive training experiences, the Fort Worth CDL Training program has become a leader in putting the safest truck drivers on the road.